News that Kylie Jenner may become the world’s youngest female billionaire, by he time she’s 21, shows us once again that capitalism is a good idea in theory, but doesn’t work in practice. The system, it is alleged, is meant to encourage us to entrepreneurship and enterprise. The effect of this sudden fortune – from a cosmetics company, wholly owned by Jenner, going viral repeatedly – has the opposite effect: it simply reminds you that the system is overwhelmingly aristocratic, often in disguised forms, transferring cultural capital between close networks. Kylie Jenner is, after all, a Kardashian; and the Kardashians gained their fame because their father, Robert Kardashian, was OJ Simpson’s best friend, and was by his side throughout his first trial. The OJ trial was both the final event of mass culture and the ur-event of modern celebrity – a freeway chase broadcast in real time, a trial with 100% coverage. The rambunctious Kardashian kids could already give soundbites by the end of it. Their multibillion-dollar empire is simply the long dividend of that ghastly event. But while contemplating one’s own net worth, it’s worth asking the question: is Kylie Jenner really worth $900 million? What does that even mean? The question is worth posing, especially on the left, because we continually use various appalling statistics – the top eight (or 23 or 55) richest people are worth as much as the bottom 50% of the world, etc – without much regard to their usefulness, or their propaganda for capitalism itself. What’s the real value of a $900 million valuation of a company that is purely image and branding (the production of Jenner’s cosmetics is wholly outsourced)? By one measure, it would be what could be got for the company now, as a 100% sale. Could anything like $900 million in cash, or better stock be got for this meme? Quite possibly, Jenner could get a deal involving quite a bit of cash, and solid stock, and a lot of exchanged non-solid stock (i.e. in the company that was buying her out), but nothing like $900 million. Even if she found a gullible megacorp, the brand would probably tank in a couple of years, leaving a hole in accumulated value for the sector as a whole. Such questions were made visible by the recent attempt by the very non-Kardashian Ruslan Kogan and Kogan co-owner David Shafer to sell $100 million of shares in the household goods company. They got no viable offers and the spectacle of the eponymous company’s founder selling off dropped the share price by 12%. They later took an offer of $42 million for a smaller parcel. So how much is Kogan – a far more real company than Jenner’s — actually worth? The question needs to be posed repeatedly of a capitalism now based overwhelmingly on branding, image, consumption, memes and algorithms, because this new strata now forms a layer of mutually supporting mega-valuations that cannot be cashed out. Yes, capital was ever thus: a non-physical projection of value into the future. But as an economy becomes more composed of knowledge-culture production and its products, that gap widens to an abyss. The West is rich, but the world is not nearly as rich as capitalism would suggest it is: which is one reason why Western cities have been in decline as social entities, why wages are squeezed decade-on-decade. 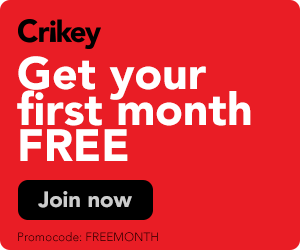 The value, to the public, of the combined plant, labour, potential and practices of an economy need to be calculated entirely separately to the sticker price capitalism would like to put on what are now a series of networked practices – Google, Facebook, Amazon – which are socialist/communist-in-embryo. That applies to the other end of things as well. Taking the IMF, etc, valuations that X billion people live on $2 a day and then comparing that to Jeff Bezos is comparing one imaginary figure to another. What the world’s poorest have is agricultural kinship-society lives, intersecting with capital at various points. To value that whole existence at the price of its received cash income, land value as commodity etc, is to pre-commodify it, removing all the non-quantifiable value, in a form of circular logic. Such a logic only serves as a precursor to neoliberal developmentalism: the sweeping away of ways of life as a set of intangibles. That is not to say that such societies do not need, want and deserve better equipment, education, medical services, scientific practices etc. But the misapplication of wealth estimation at both ends is both false and disempowering. The megarich are not worth trillions; they’re mostly a network of grifters using paper value to live a multi-millionaire lifestyle on current account. The real value in the system will be far easier to transform than such hypervaluations suggest – and the excluded poor have lives that could be improved with far less capital than such yawning disparities suggest. Capitalism, the system that could once throw railroads across continents and turn villages into megalopolises, can now, at its old metropolitan centres, barely get a rapid rail line completed in three decades, keep a hospital system going, provide housing, even for the employed. Don’t flatter it. It’s become a pig of a system, and all it’s good for is to provide the lipstick. I love to read these sorts of articles while I’m waiting to pee in a cup for my Newstart allowance. Don’t knock it. Next step might be a vending machine where you have to buy the cup. And pay for the testing; no Medicare for you. I particularly enjoyed your last comment. Thank you for the explanation and exposure. Agreed, the final sentence tied in perfectly. The Kardashian era will eventually fade into nothingness, just as the Paris Hilton chapter did. Fascinating and a topic that has bemused me for a while. 1) What socially useful issues are these “well known” entities supporting ie What good are they doing? 2) What values are they encouraging? Superficiality and conspicuous spending might be good for the media and their advertising revenues but not very much else. 3) What are the long term health issues of the “normalisation of obesity and other bodily oddities as beauty” that they appear to represent? 4) Who really cares about them anyway? Guy has not addressed the issue that it is his colleagues in the MSM who give these wastrels free kicks at every opportunity, to add to the problems and disparities he writes of. It was only a few weeks ago that Bernard was baiting us with some home truths never uttered by the left, one of which if memory serves was along the lines of how wonderful capitalism was at alleviating the hardships of the poor across the world. Personally I think Guy has a better take on things. How do you value mental health, which seems to be a diminishing resource in the west? I often think of the poor white men (my ancestors) who sailed across oceans to meet the indigenous of this land, and thought them primitive. Too stupid to recognise a tribal system living in harmony with the land where labour was virtually unknown, societal bonds strong, a bountiful earth that they didn’t even have to till. 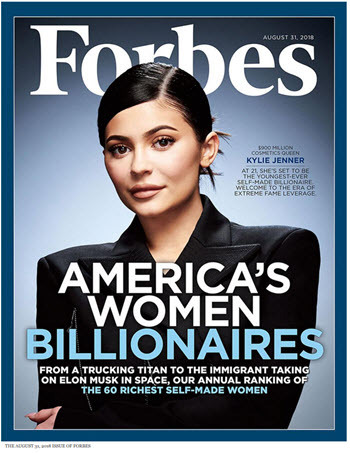 The articles about Kylie Jenner’s “fortune” based on an inflated valuation someone has invented for her cosmetics company say more about how journalists are easily taken in by headline-friendly stories based on numbers they don’t understand than it says about capitalism. Its the same for so much of capitalism. Most of these massive $20 billion Takeover or $50 Billion Mergers that we frequenctly hear about (now more so that we are at the top of the business cycle atm) is fake valuation. We see this after a few years when each merged entity has to confront massive writedowns of billions of “goodwill” that can no longer stay on the balance sheet. Its the same phantom valuation used by movie studios to falsely claim losses from downloading. They take the demand for a commodity with zero cost and extropolate that number of downloads with a imaginary “fake” value they claim the viewing of each movie or song has ($35 for a blueray or $20 visit to the cinema). But in the end, there is no market for the whole enterprise at the imaginary costs. Its not worth what they claim it is. I always enjoy the regular headline of “Billions Wiped off Stock Market” because nobody ever suggest whence this “value” went. Surely not into the thin air whence it came? Apparently, capitalism needs a starvation level dole and tax cuts for the rich to motivate people to work, or work harder. Now that this person is worth $900 mill by 21, what does capitalism need to motivate her to start to do some work – like, any work at all? Guy, these are people of substance I’ll have you know. I really like your analysis of capital and value,great stuff.